A couple roster moves by the Phillies this morning have prompted Kram to take another (futile) stab at the 2015 IronPigs Opening Day roster. Xavier Paul: Alas, we hardly knew ye. This morning the Phillies made a couple roster moves as the Minor League side will begin game play shortly. 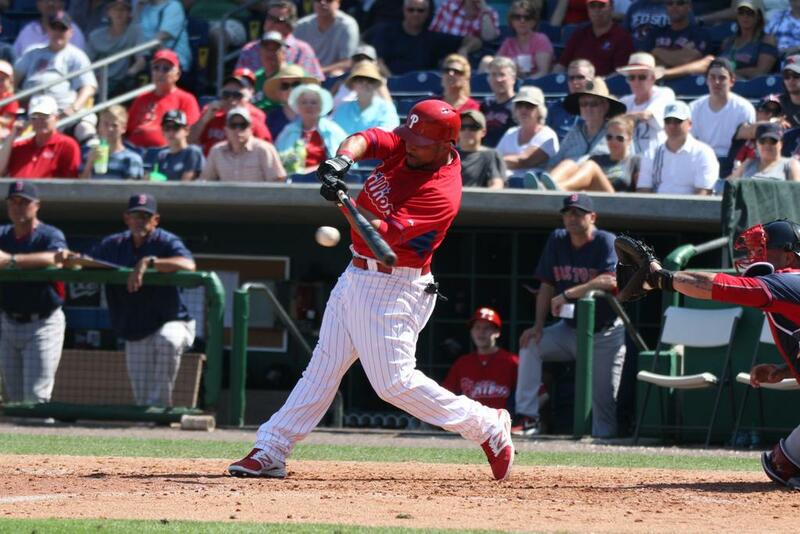 OF Xavier Paul was released, bringing the IronPigs Outfield into focus a bit more. The veteran of almost 2 1/2 seasons in the Majors, Paul will now have the opportunity to hook on with another club–hopefully not to haunt the IronPigs on the field. Unless there is more to the situation, I see it as a class-move by the Phillies if Paul wasn’t going to be in their plans for 2015. LHP Jesse Biddle, LHP Adam Morgan, RHP Ethan Martin, OF Aaron Altherr, RHP Sean O’Sullivan, and C John Hester move to Minor League camp. Biddle, Morgan, Martin, and Altherr via their available option, and O’Sullivan and Hester via their minor league contracts. Hester will remain in Clearwater while he rehabilitates his injured knee. With things coming into focus a little better, I’ll take another stab at the opening day roster. This time, I’ll present the 25 men–mostly without comment. If you’ve got another view, feel free to leave it in the comments–you might be more correct than I.
Danks in reading? amount released? What’s up with Tyler Greene who was signed by the Phillies to a minor league deal back in January? His deal did not include an invite to big league camp but those minor league rosters posted in another thread have him in the AAA group. He is 31 but was a former 1st round draft pick who hit .298 with 10 HRs and 63 RBIs last year in AAA. Maikel Franco was the only Ironpig who had more RBIs than Greene last year. Not too bad for a shortstop. He has 17 career big league HRs in 675 career at bats. Yeah, there’s a version of the above where Blanco makes the Phillies and Greene and/or Henson are with the IronPigs. I’m waiting to hear how they play in the MiLB game reports. Someone online today opined that Cesar could get DFA’d in favor of Cord Phelps, too, who has been playing well in the MLB S/T games. Stay tuned.